Yes, performer, Canadian rapper, singer, songwriter, record producer and actor Drake is a Jew. His mother is Jewish. In June 2016 Drake had 19 songs on the Billboard Hot 100 - more than any other performer ever had at the same time - even more than the Beatles. Wikipedia explains, "Aubrey Drake Graham was born on October 24, 1986, in Toronto, Ontario to parents Sandi Graham (née Sher), an educator, and Dennis Graham, a drummer who worked with Jerry Lee Lewis. On his father's side, he is related to American musicians Larry Graham and Teenie Hodges, who are his uncles. Drake's father is an African-American from Memphis, Tennessee, and Drake's mother is a Canadian Jew. He attended a Jewish day school and had a Bar Mitzvah. His parents divorced when he was five years old, and he was raised by his mother in two Toronto neighbourhoods; he lived on Weston Road in the city's working-class west end, until the sixth grade, when he moved to the affluent Forest Hill." NYTimes on Your Google Afterlife: Who Will Say Kaddish Over Your Digital Soul? After you die, your digital soul will live on - all the data in your Google and other accounts. That material contains personal and impersonal captures of aspects of your consciousness - what some creative social scientists might try figuratively to label as parts of your "soul". From The New York Times BITS BLOG we learned that, "Google Introduces a Tool for Planning for Your Digital Afterlife. As Web companies and legislators grapple with who controls your digital life after you die, Google introduced a tool for designating what you want to happen to your data after you die." The tool is called the "Inactive Accounts Manager". Google users choose whether to activate the feature after their accounts are inactive for three, six, nine or 12 months. Google will send a text message and e-mail before taking any action. The feature, called Inactive Account Manager, is accessible on the account settings page. This subject causes us to reflect. In a truly digital mode, what do you say to a person about the loss of a loved one? Perhaps this: "May your loved one's data live on in the cloud of eternal storage." The fourth yahrzeit of my father, Rabbi Dr. Zev Zahavy, is tonight and tomorrow. At the breakfast at the Park East Synagogue in honor of my dad's first yahrzeit in 2013 I spoke briefly about the dimensions of the immortality of his soul. I explained that by observing the mourning customs and reciting Kaddish for the soul of the departed, we seek immortality on its behalf in heaven above and on earth as part of the eternal Jewish people. I summarized my thoughts on this process as follows below. Is the Jewish soul immortal? Yes, tradition teaches us that if the proper procedures are followed, the Jewish soul is immortal. And the immortality is redundant. The soul of a departed loved one lives on in a vertical immortality in heaven and in a horizontal immortality as part of the collective of the Jewish people. To guarantee the duplex immortality of a soul, a mourner must say the Kaddish prayer for eleven months in the synagogue. As an agent on behalf of my father's soul, I completed that process in 2013 for the recitation of the Kaddish for my dad, who passed away in 2012. This article is from StarTribune.com - the full article, with any associated images and links can be viewed here. The Minnesota State Colleges and Universities system has lifted a ban on travel to North Carolina over that state's law limiting the rights of LGBT people. The ban was imposed after North Carolina passed a law requiring transgender people to use bathrooms and locker rooms matching their birth gender, rather than their gender identity. A MnSCU statement late Thursday said the system was confident that North Carolina's law was being addressed through a Justice Department order that it violated civil rights and can't be enforced. The MnSCU ban had caused some athletic coaches to worry that they might not be able to travel to the national Division II baseball tournament in North Carolina, for which a Minnesota team has a good chance to qualify, as well a national junior college tournament. Pat Dolan, coach of the St. Cloud State baseball team currently ranked No. 3 in the country, told the St. 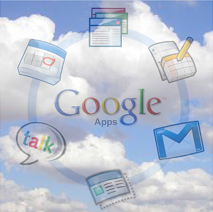 Cloud Daily Times the change is " a total relief. (Wednesday) and the day before, you don't want to express your true feelings because you want to be polite and professional and you hope that the higher-ups make a decision to help." The full Daily Times story is here. The original MnSCU ban followed a similar directive from Gov. Mark Dayton to state employees. "Governor Dayton agrees with the decision announced today by MnSCU's leadership," said Matt Swenson, a spokesman for Dayton. "In light of recent actions taken by the U.S. Department of Justice, Governor Dayton is now considering whether to lift the travel ban for Minnesota's state agency employees." I just realized that I've been writing this monthly column for three years! I think that my husband drinks too much. He has at least two glasses of wine every night at dinnertime. He often drinks more later in the evening. On Shabbat he has several drinks of hard liquor with his buddies in shul before lunch. I’m worried that he is an alcoholic. What should I do? Wine plays a pervasive and positive role in the rituals of our Jewish tradition, as you doubtless know. Our Sabbaths and festivals are inaugurated at dinner by blessing a cup of wine and drinking it. We end the holy days with wine at the Havdalah ceremony. On Passover we make it through the stresses of the holiday and of the Seder meal with the help of four cups of wine, interspersed throughout the evening. On Purim there is a mitzvah that we must drink until we no longer can differentiate between cursing Haman and blessing Mordecai.